Junior Harutyun Maranjyan speaks with actor between shots. 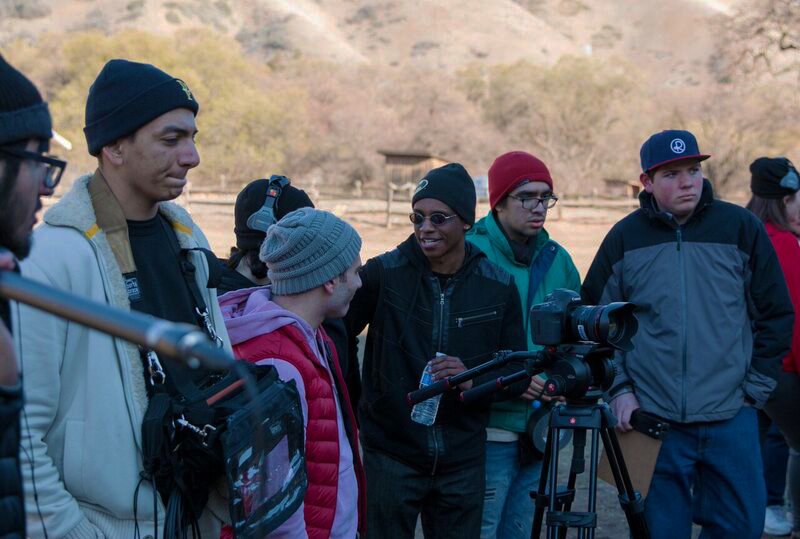 After school on Feb. 26, Cinematography teacher Matthew Stroup, along with nearly 30 cinematography students of different skill levels headed to Lebec, California on a five-day film production shoot. Being away from Clark for a whole school week, students applied their knowledge and passion for cinematography toward an actual production and learned things that couldn’t be taught on school campus. Though the trip took place second semester, planning began at the end of the previous school year. 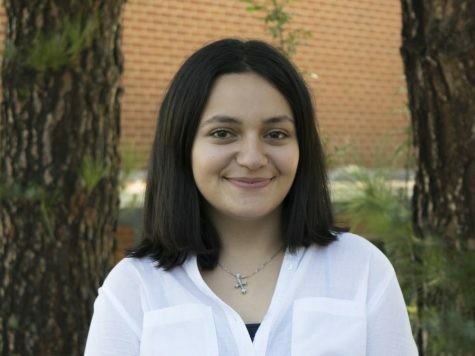 Producer Samantha Dominguez, a senior at Clark, organized the filming schedule for the crew to stay on task. With four minutes to film every shot, much of the 15-minute movie was created in 30-degree weather. Three students stayed in each Motel 6 room, along with an approved chaperon. Though the motel rooms were always accessible, students were on set from 6 a.m. to 5:30 p.m. every day, performing their individual roles. Though the weather seemed like it would be a challenging barrier at first, once students got to the site, they adapted to the new conditions. Participants were always found with thick coats and hand warmers, even though snow only fell on the first two days. The entire trip was run almost identically to a professional production. With real actors and professional camera and sound equipment, students worked as cinematographers, boom operators and other workers on set. Students admitted that going on the trip allowed them to create closer bonds with one another, as well as get hands-on experience with aspects of filmmaking that they had learned about. “A lot of the students came into the project as student filmmakers and emerged as empowered young professionals who learned a tremendous amount about themselves and the production process in a mere five days,” Stroup said. Though plans aren’t certain yet, the class is planning on premiering their film at a private theater in mid-May.